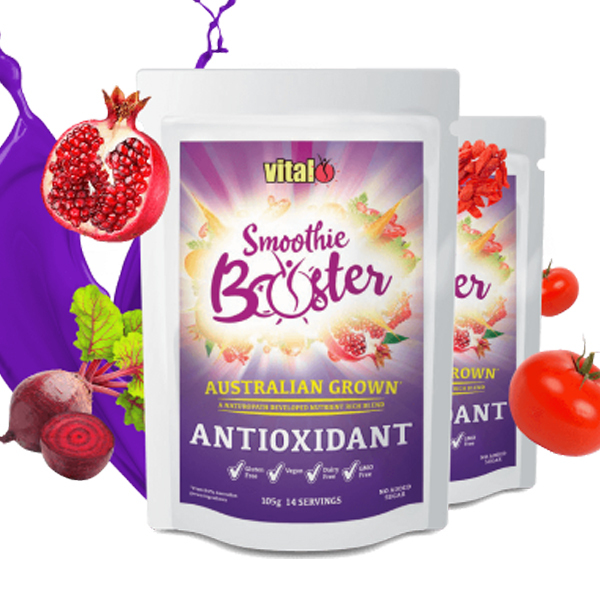 Vital Smoothie Boosters are made with Australian grown ingredients and developed by the Vital Greens naturopaths Shane & Stephen. This is a belnd of antioxidant rich ingredients. Add 7.5g to your daily smoothie. Always read the label & follow the directions for use. This food is not a sole source of nutrition and should be consumed in conjunction with a nutritious diet. Avoid this product if you are allergic or sensitive to any of the ingredients.